I don’t like bright sunlight and hot afternoons. I don’t understand people who love summer, the hotter the better. That makes no sense at all. 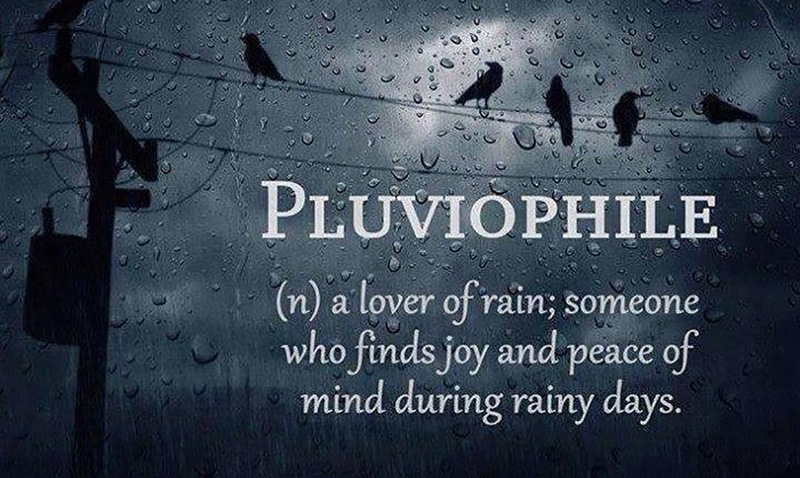 I’m a pluviophile though I don’t know why. I was born and raised in the heat of the Sacramento Valley and that was fine when I was a kid. Children in my day paid scant attention to sweat, dirt and scraped knees. But by the time I was too old to run through the neighbors’ lawn sprinklers I began dreading summer. For the past forty years or so I’ve tried hard to find a radio job in cold, wet and perfectly dreary Seattle or Portland. I love the Pacific Northwest with its year-round sweatshirts, smokey chimneys and soggy green everything but I could never get a job there. Instead, I landed in Texas. Everything you’ve ever heard about Texas weather is true. We have 60 degree swings in 12 hours. We get heat, snow, flash floods and tornadoes, sometimes all in one week. I’ve seen hailstones pounding my yard on a 100 degree day. Summer in Texas begins in April and lasts until Thanksgiving. It is a withering, humid, debilitating heat. If it weren’t for the otherworldly buzzing of cicadas hidden in native oaks you’d swear there was no life on the planet during the heat of a Texas summer afternoon. Nights cool down to maybe 85. So, here it is mid-March. I know what’s coming and I dread it. But, for today only, I must confess: spring is beautiful and reinvigorating, even for a pluviophile in Texas. We have the biggest sky I’ve ever seen. 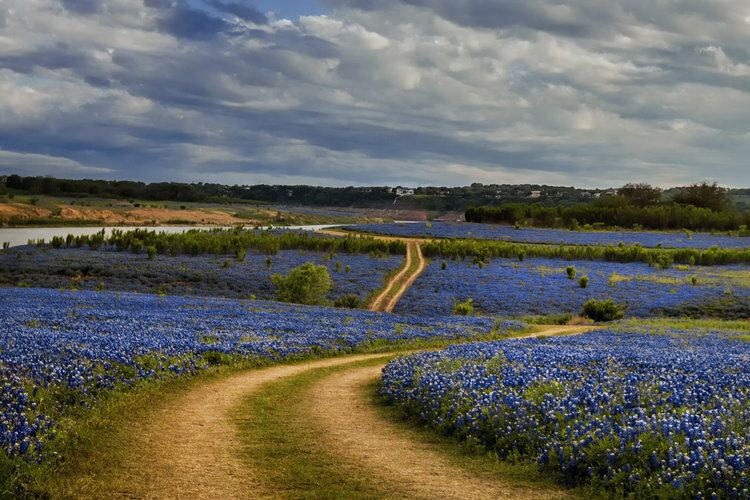 In spring we have our famous bluebonnets painting hills and prairies stretching to every horizon. We have colts and calves romping in green pastures and baby bunnies learning to hide for their lives from their many flying predators. Mesquite smoke flavors the air as folks throw big slabs of brisket onto chunk charcoal before dawn. 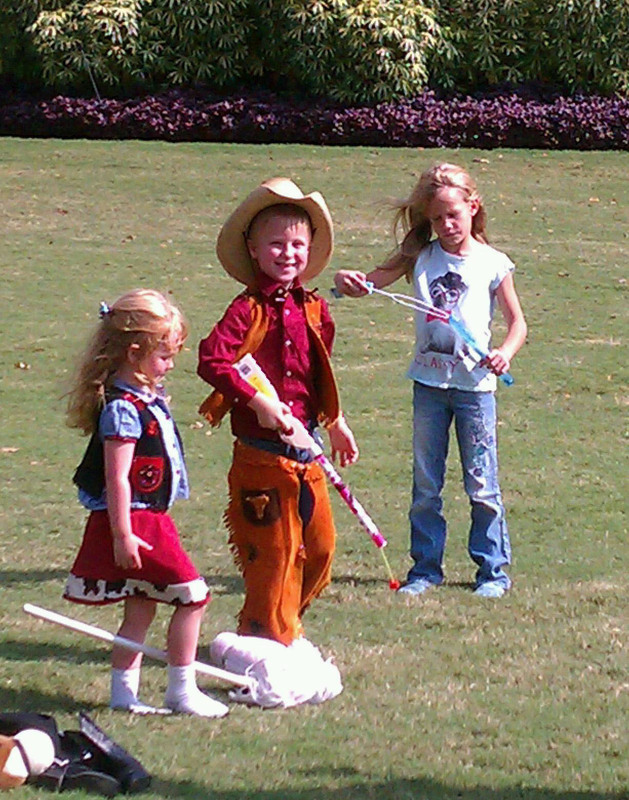 Texas kids are back on the lawn. It’s an early spring Saturday morning in Texas and it gives me pleasure. Yes, it does. Still, I know what’s coming. Anonymous on Are you happy?